Lock & Co’s water repellent Rambler hat is perfect for these cold rainy days when the umbrella can be left at home as its Teflon treatment and simple construction makes it ideal for daily use without having to worry about ruining it if rained on or crushed (for traveling, just flatten it and roll it up). 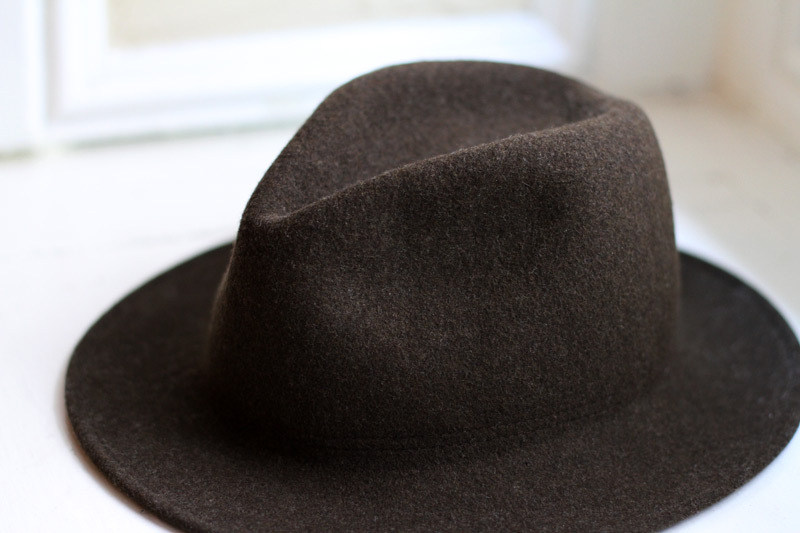 There are some more affordable options out there for this type of hat, but I think Lock & Co’s is about the nicest looking you’ll find. 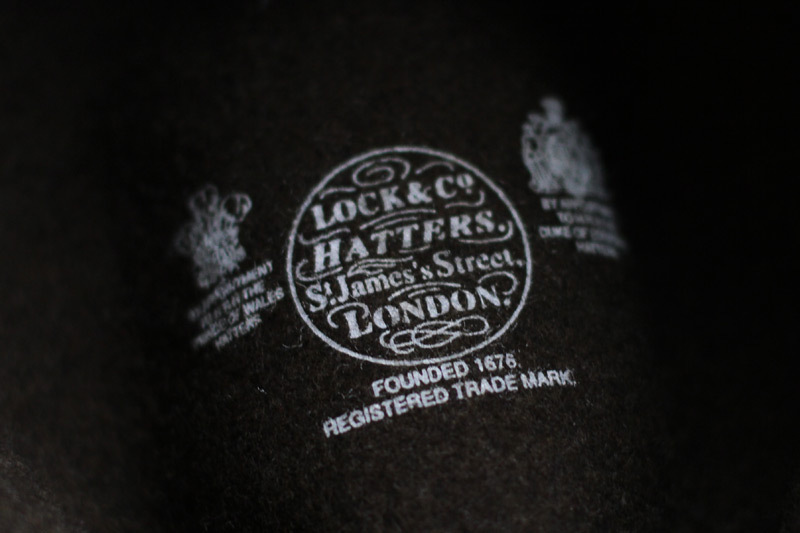 Printed directly inside is the charming Lock & Co Hatters logo (for good reason, it lacks a lining typically found in more formal hats).